There’s no better investment than property. Year on year, our homes — even through times of great economic uncertainty — continue to grow in value, so it makes sense to devote as much as we can to improving them. With this in mind, we went to the liberty of researching some of this area’s top construction experts, in the hopes of pinning down how you can profitably improve your property. Over the last four years Thermaspec have built a reputation for a superior level of work, helping homeowners across Dorset and Hampshire “add space and value” (as their motto dictates) to their properties. 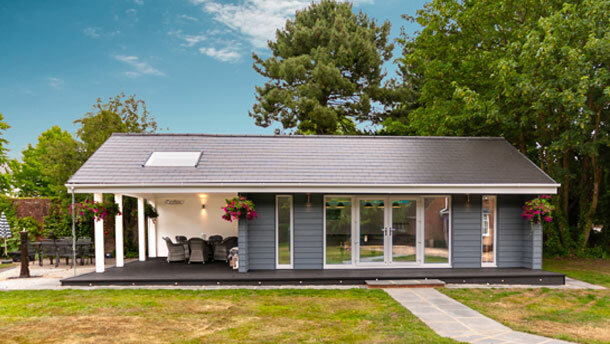 They originally specialised in bespoke orangeries, garage conversions and extensions, but whilst many found this the perfect solution, other customers looking for something a little different. A new way to make their homes bigger, that wasn’t the conventional extension. 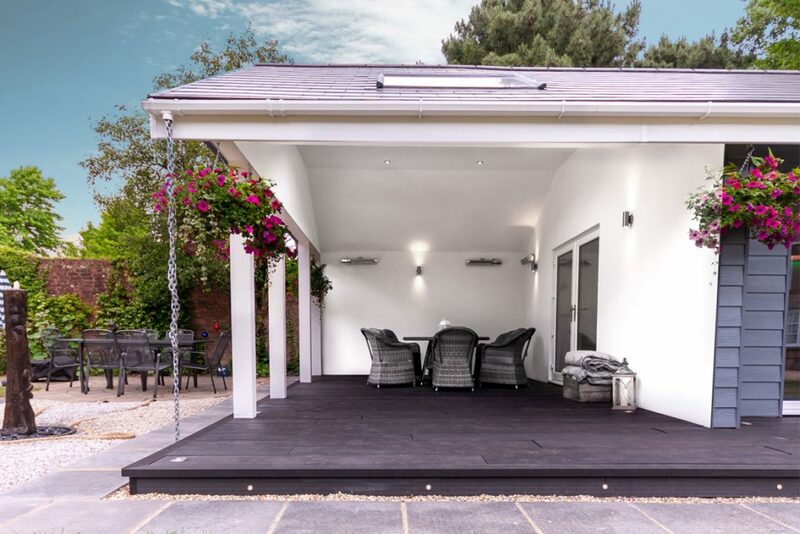 With that, Thermaspec added “Luxury Garden Rooms” to their portfolio, creating a high-spec extension away from the home, which made for a whole new living space. But, instead of taking their word for it we were kindly invited to visit the home of one of their previous clients — a project that was a great success, working with the client from concept to completion, delivering amazing results that were both on time and in budget. 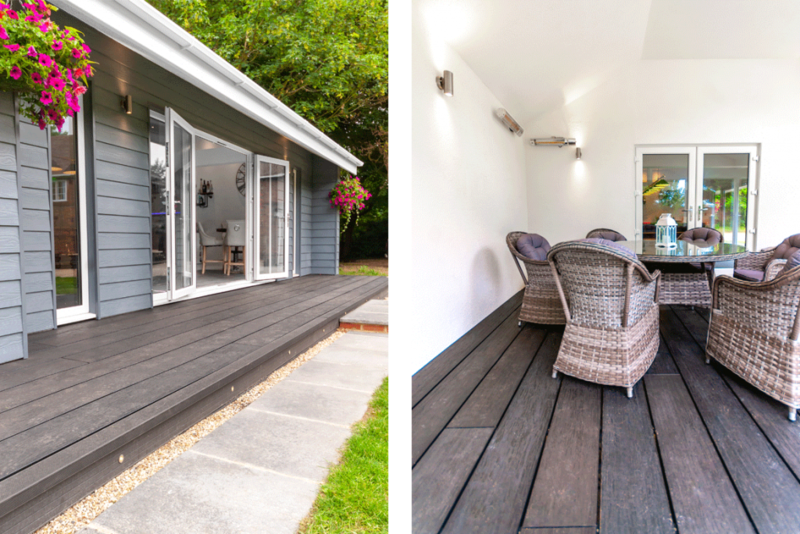 With Thermaspec Owner Martyn, Project Manager Colin and the homeowner Shirley on site, the team took me through the process that led to this incredible Luxury Garden Room, affectionately known by the owners as “The Pavillion”. 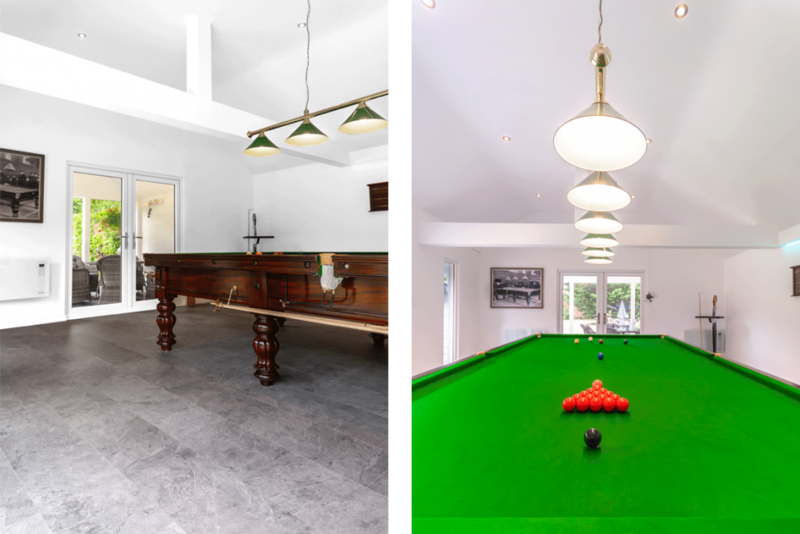 Martyn: Initially Shirley approached us wanting to explore her options for a designated snooker hall — a “man cave” for her husband to enjoy his favourite past time in. Shirley: We both lead such busy lives, so any downtime we get is precious. Where we live there’s not that many options for my husband Trevor, so he would have to go off further afield to enjoy his snooker, which means less quality time for us. The idea was to bring his pastime home, so that we could still enjoy spend time together, and with all of our friends. When you’re doing something this big, you don’t want to be doing half of it yourself. Thermaspec made this project enjoyable; they put the fun back into home renovation, through handling every single detail. Martyn: After the initial telephone enquiry from Shirley we arranged to meet on site (their property) and get to know what they really wanted out of the potential extra space. We already knew it was going to be predominantly used as a snooker room, but there were plenty of other key things that came to light as the discussion went on. Working closely with our in-house architect, and with Shirley, meant that we could tackle the designs knowing what would and would not work aesthetically and in terms of planning. Shirley: My husband, in his wisdom, asked what I wanted out of the space too, and from that we realised that all the details were working towards creating an all-inclusive entertaining space. Things like running water, a toilet, specialised lighting and sound equipment, suddenly became important details. We began to panic thinking of how many other trades we’d have to contact to get all the things we wanted, but to our surprise, Thermaspec had it all covered; carpenters, plumbers, electricians…all part of their team. We were so impressed with how they’d really heard what we wanted, and after our initial conversation they came back with the plans, then we were able to adapt it with the architect in 3D-design, and then they really blew us away when they produced a full booklet of every single detail; materials, design, prices — and this was even before they’d got the contract. It was right then we gave them the green light and work began. As a customer, what were your feelings throughout the build? Shirley: The whole thing has been a delight, and I really can’t recommend these guys enough. When I say I cannot criticise a thing, I genuinely mean that, and I run a business so I know what it’s like. The attention to detail has been second to none, and that’s to be said for everyone in the team. So often big home projects can be stressful, even traumatic, but having Colin on board managing the entire project made a massive difference. They’re extremely polite and a pleasure to have around, and the communication has been flawless throughout. It was important for us to choose a local company. There’s a level of accountability on their part, you know they’re only moments away, and you’re not having to factor in the cost of accommodation for workmen either. We found Thermaspec by accident scrolling through Google one Sunday evening, and we’re so glad we did. This is just a glimpse into the multitude of options Thermaspec can create. 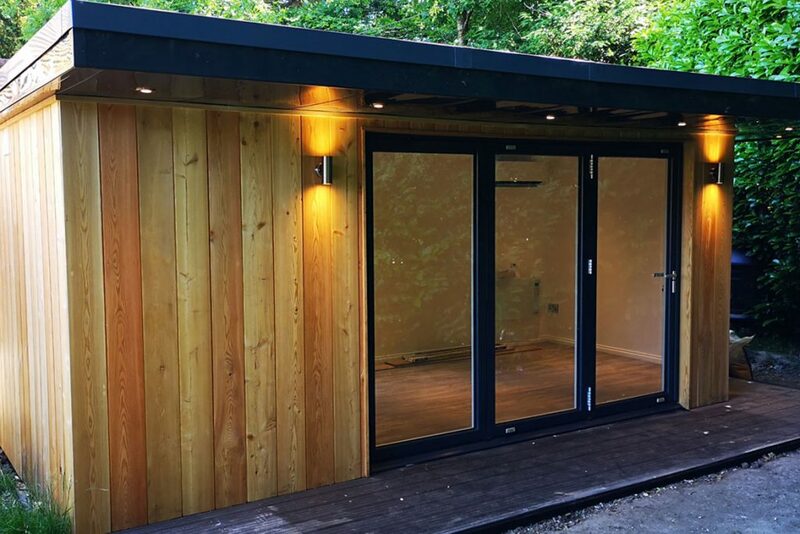 Over a friendly, no-obligations chat their team of designers can create a luxury garden room suitable for your style, needs and budget.